Garden? Check! Big screen? Check! Popcorns? Check! Live soundtrack? Check! Well, this sure looks like a party to me! 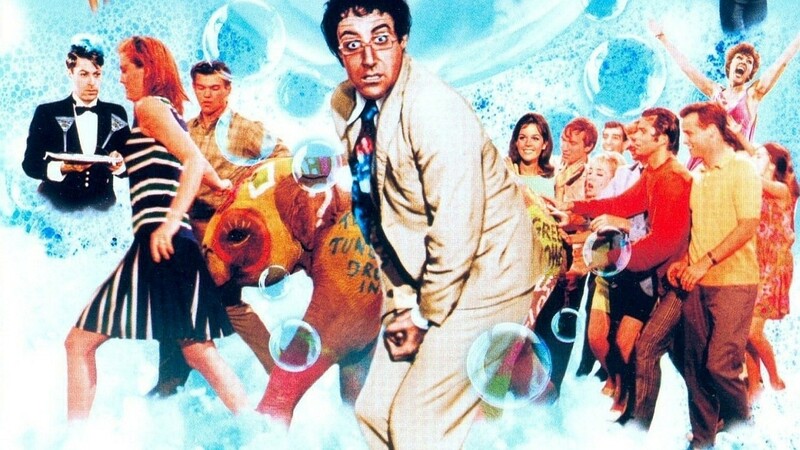 Not just any party though, but Blake Edwards’ cult comedy The Party (USA, 1968, 99 min) accompanied by vibrant sounds of the saxophonist’s Job Chajes Band (formerly Amsterdam Klezmer Band) in the back garden of Het Nutshuis. If by any chance you managed to miss The Party (highly unlikely though), be prepared for a hilarious piece with Peter Sellers as Indian actor Hrundi V. Bakshi, making you cry out of laughter. To give you a few hints, the set includes lost shoes, indoor waterfalls, painted baby elephants, drunken butler, even gallons of liquid soap. These are not hallucinations but the doing of one bumbling film extra naively managing to sabotage the whole party. Madness turns to nothing less than chaos, this Saturday enhanced by Job Chajes festive, jazzy, Klezmer music. The Party is part of Rocket Cinema, Het Nutshuis’ series of memorable cult movies accompanied by live soundtrack performed on the spot. Here’s a sneak-peek giggle with the opening dialogue. Director: Yes, you. Get off of my set, and out of my picture. Off, off! You’re washed up, you’re finished! I’ll see to it that you never make another movie again! See you Saturday 15 August, 9:30pm at Het Nutshuis. Don’t forget to get your ticket!